Indian restaurant discovery and food ordering platform, Zomato has received a hefty investment of $150 million from Ant Financial Services Group (Ant Financial) in a fresh round of funding. The latter has also purchased $50 million worth of shares owned by Info Edge in Zomato, bringing the firm’s total investment in Zomato to $200 million. The transaction valued Zomato at over $1 billion, and the deal is expected to help the firm grow in the face of stiff competition from domestic rivals like Swiggy and Foodpanda. As per Zomato’s press release, the company will utilize the funds to diversify its portfolio of services, and will also collaborate with Ant Financial’s mobile wallet partners to introduce ‘seamless payment options’ for the convenience of users. At Zomato, our long-term vision is ‘better food for more people’. This partnership with Ant will significantly accelerate our journey towards our vision. We believe that Ant is the right strategic partner for our business at this stage and we can gain tremendously by learning from and leveraging their global network, scale and technology”, said Zomato’s founder and CEO, Deepinder Goyal. It must be noted that Ant Financial is an affiliate company of the Alibaba Group and a month ago, the Chinese giant bought 33% stake in Ant Financial to dissolve their royalty and service fees agreement. 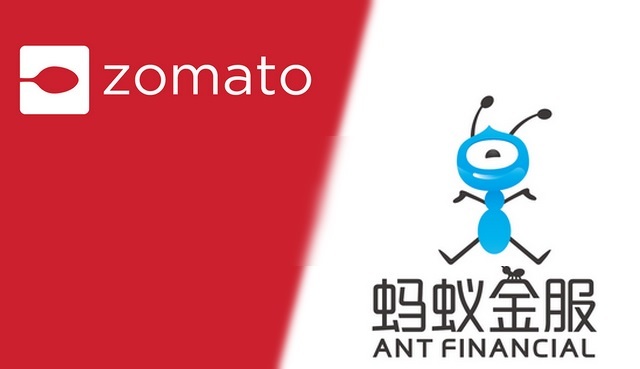 Ant Financial’s investment in Zomato marks Alibaba’s second major business endeavor in India this year, the first being the launch of its DingTalk chat app for small and medium-sized enterprises (SMEs).